We arrive in Yoho National Park (British Columbia, Canada) after running away from the masses at Banff and Lake Louise. Looking at a map of the park I point at a tiny dot in the northern end. Takakkaw Falls campground, it reads. 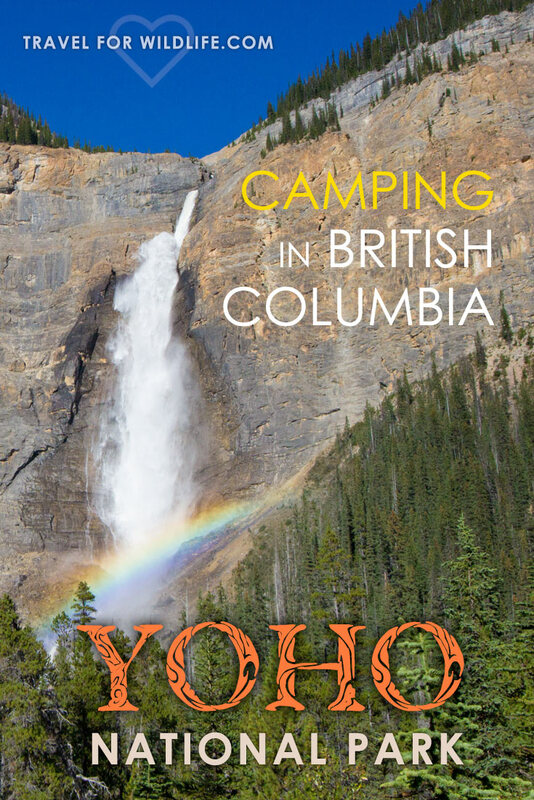 We should go camping in Yoho. “Let’s stay there.” I assume that the further away from the main road, the less people we will see. 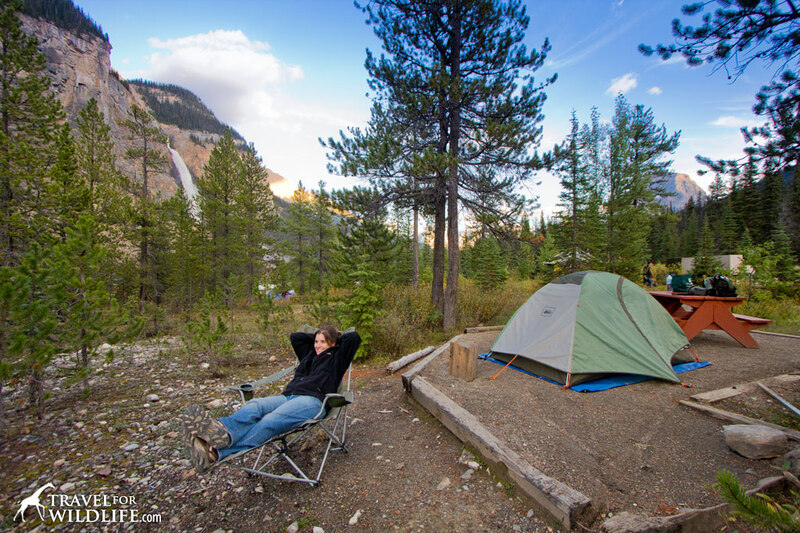 Plus, at $17.60 per site, Takakkaw Falls campground is the cheapest campground in Yoho National Park. Plus we heard that the Takakkaw Falls Hike is quiet spectacular. Yoho is a Cree expression of awe and wonder. With 28 peaks over 9,500 feet tall and with many waterfalls, like Takakkaw Falls, Twin Falls and Wapta Falls, it’s no wonder they chose this name. 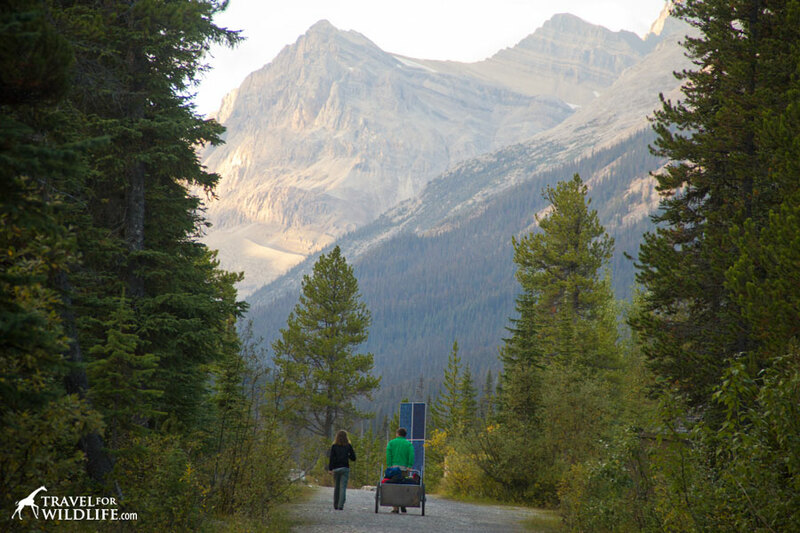 The route to Takakkaw Falls campground is a steep, narrow 8-mile road, with tight switchbacks and little room for trailers, which helps cut down on the number of visitors. Towering peaks rise up from both sides of this little road which is only open during summer. As we climb upward I smile with anticipation. 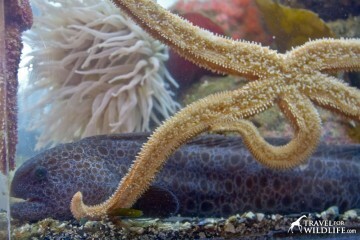 Change in altitude means change in the animals that are found. 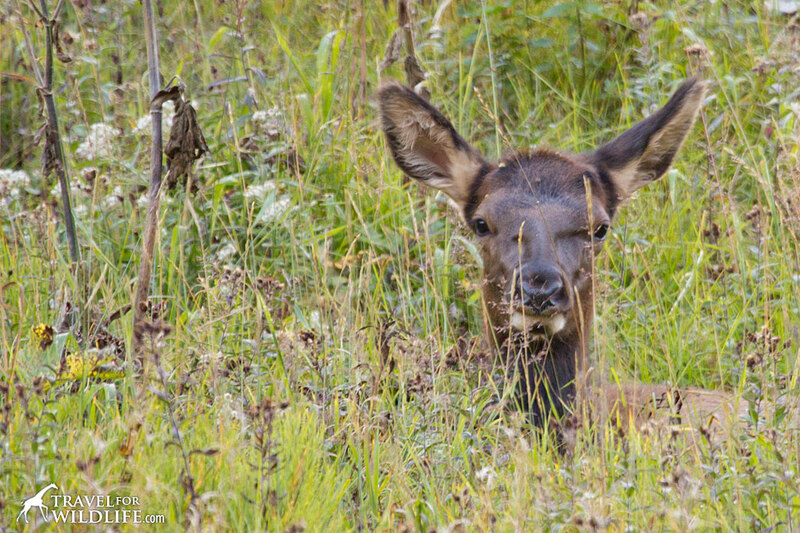 Halfway up the road we find a group of female elk lying down in the grass while chewing their cud. They watch the cars pass by as if they were spectators at a tennis match. 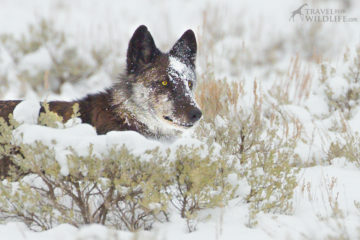 I wonder if a wolf is watching them in turn. 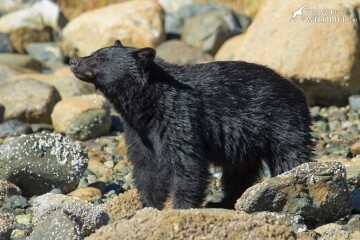 Higher up is home to mountain goats, lynx and the wolverine. Even though the mountain goats are the most abundant large mammal in the park, you’ll have to look very high up to find them in the summer. There are a few notable viewpoints along the road. 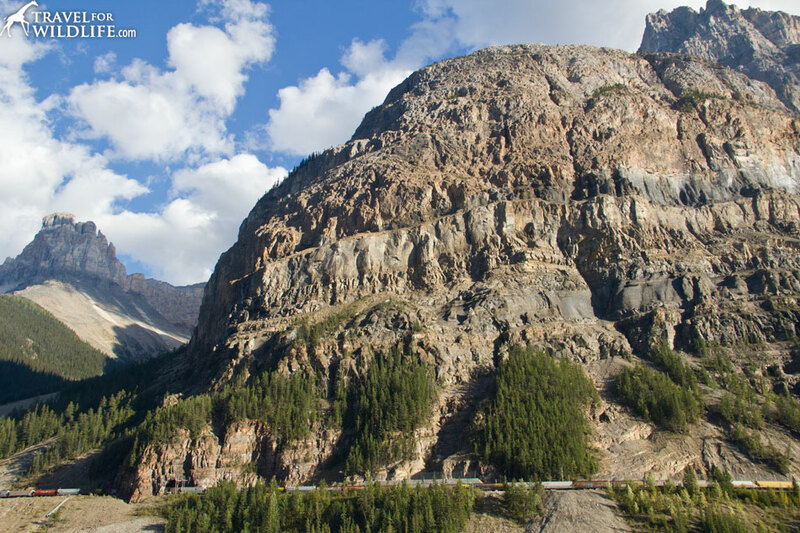 Stop at Upper Spiral Tunnel Lookout to watch a train spiraling over itself and pass into the depths of Cathedral Mountain or at Meeting of the Waters, where the Kicking Horse River meets the Yoho River. Takakkaw Falls is almost at the end of the road, though you will see them ahead of you as you climb. 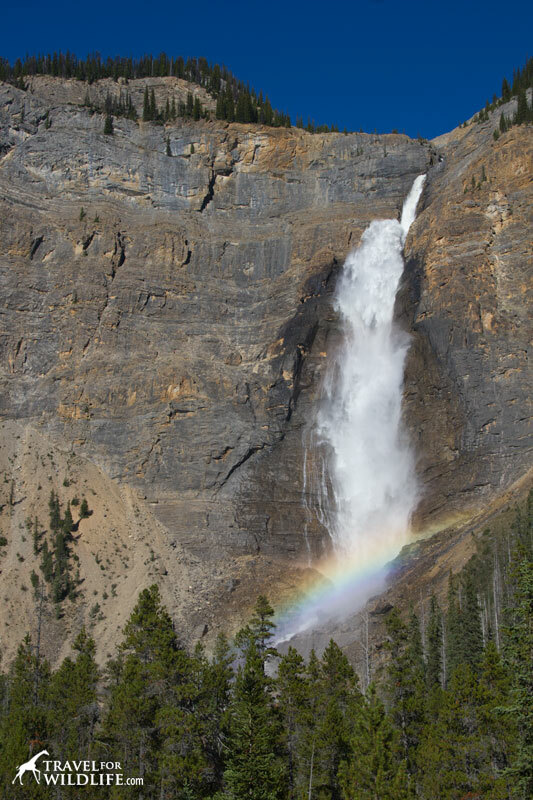 Takakkaw Falls are the third-highest falls of Canada and with a free fall of 833 feet, they are an impressive sight. The Falls are fed by the Daly Glacier, part of the Waputik Icefield and the strongest flow can be observed during the beginning of summer after the heavy snow melts. 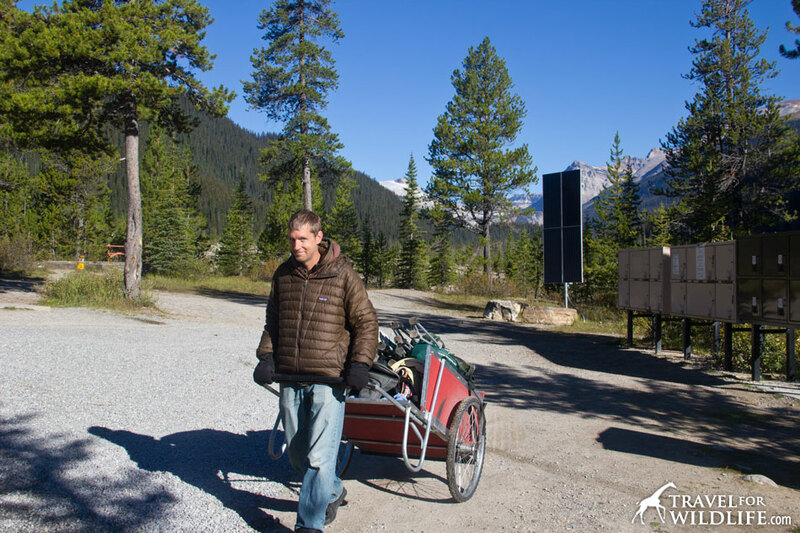 To get to the Takakkaw Falls campground, you need to leave your car in the parking lot. This is a walk-in campground. Once you leave your car you’ll see a few wooden carts waiting for you. This is where you load up your tent, food and whatever else you need to camp. 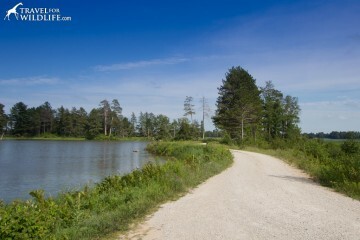 Once your cart is packed, head out into the forest through the path that leads to the campground. When we get to the campground, all the sites with a clear view of the Falls are taken. 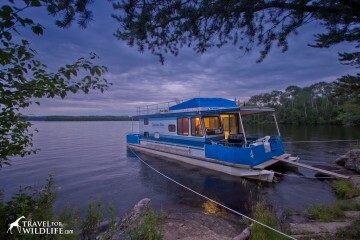 Continuing our search, we reach the edge of the campground and find our perfect spot. From our site we can see a total of three glaciers! To the west, the tip of Emerald Glacier peeks out of President Mountain. To the north, the Yoho Glacier tongue spreads down Yoho Valley. 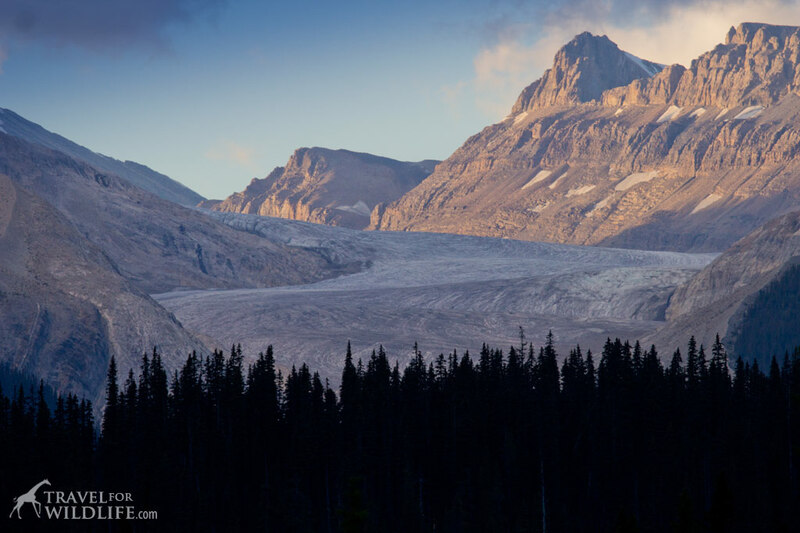 To the east, the Waputik Icefield emerge like a natural separation between Alberta and British Columbia. And just behind you , Takakkaw Falls. We set out our trail camera on the outside of the campground, wishing a wolverine would come in the middle of the night to check it out. 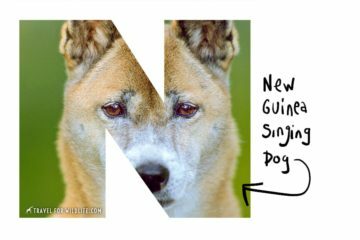 Or a wolf. 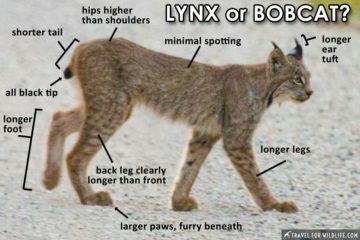 Or a lynx. Or anybody! Sadly, nobody took the bait and we left empty handed. 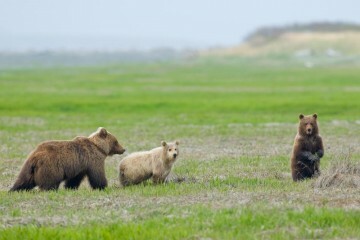 The campground is one of my favorite BC campgrounds and from our American Safari trip. There are no cars (except the cleaning crew first thing in the morning), the bathroom facilities are spotless, and the air is pure and clean. There is no light pollution and the night sky is incredible. There are bear proof food containers and even a big cooler room where you can store more stuff. The water supply works with solar power and you can buy firewood there (although campfires are only allowed at some sites). 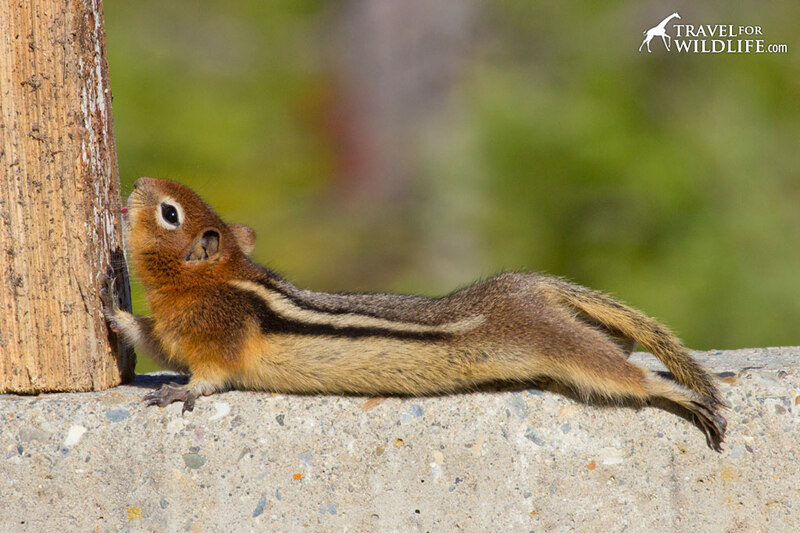 Golden-mantled ground squirrel stretching out in the sun next to the firewood pile. The hike to Takakkaw Falls from the campground is pretty short. To get to the falls you need to cross a bridge over the Yoho River. Just before you cross it, there are some informational signs, with info on the history of the place and its name. Takakkaw is a Cree word meaning “It is magnificent” or “That’s amazing” and it was used in the way we might say “Oh my god!”. Once you cross the bridge and start walking the path toward the bottom of the falls you feel how the temperature changes. By the time you are right at the very bottom, the glacial waters of the falls will make you wish you had brought an extra layer on this fine hot summer day. Glacial water mist at the bottom of the falls is a treat after on a hot summer day. Since our visit to the falls, we have introduced this word into our daily vocabulary, replacing “Oh my god” with a (always dramatic) “Takakkaw!”. Packing our site. See the solar panel and the bear proof containers behind. 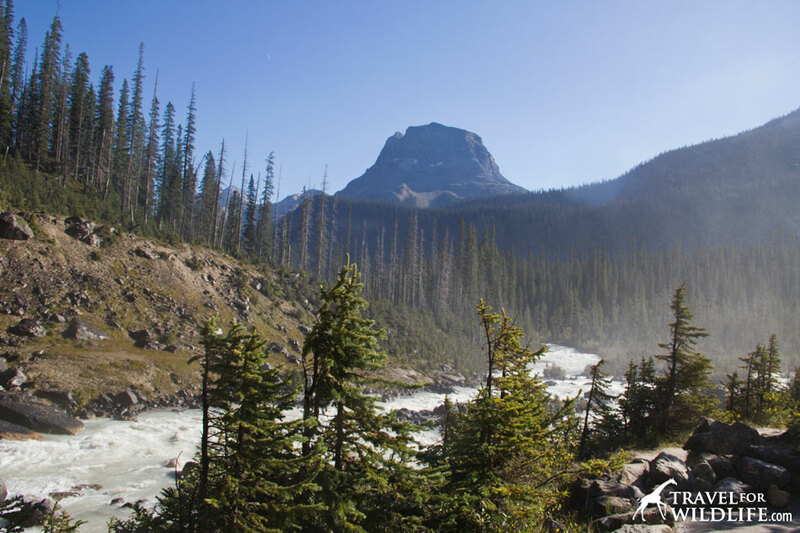 From falls viewing to fossil hunting to hiking, Yoho is the place to go! An 11-mile hike, the Takakkaw Falls Hike starts at the Takakkaw Falls parking lot. 5 miles into the hike, you’ll reach Twin Falls. Enjoy the incredible view from one of the benches, or visit the Twin Falls Tea House. 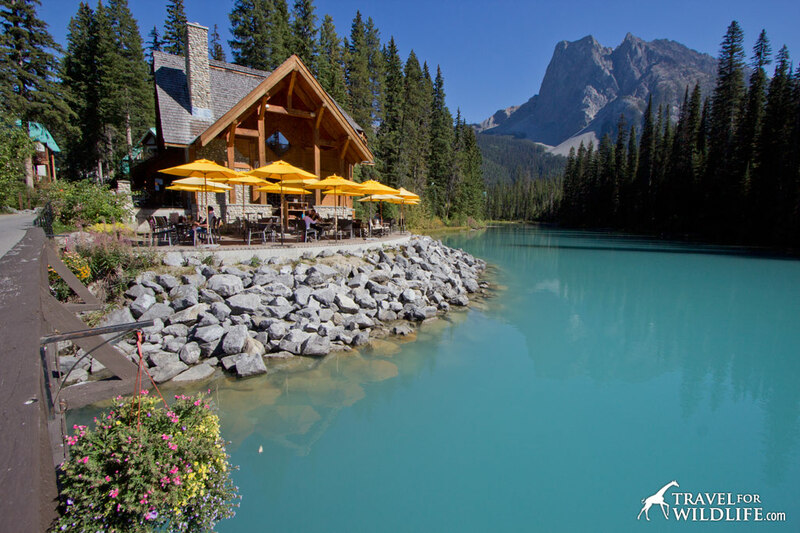 If they are open, you can enjoy light refreshments, just like at the famous Plain of Six Glaciers Tea house in Lake Louise, Alberta. This is Yoho National Park hiking at its best! The Burguess Shale location was designated a World Heritage site in 1981 and contains the fossils of more than 120 marine animal species dating back 515 million years. 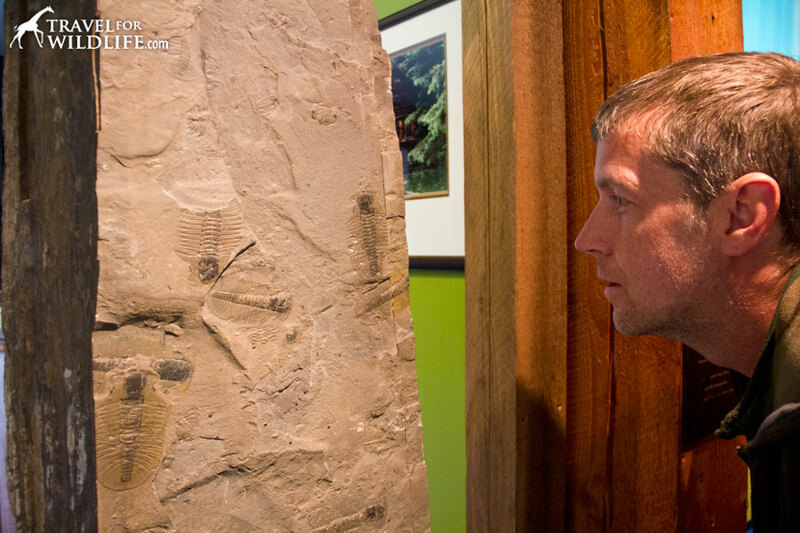 Come and see the most famous trilobites in the world! 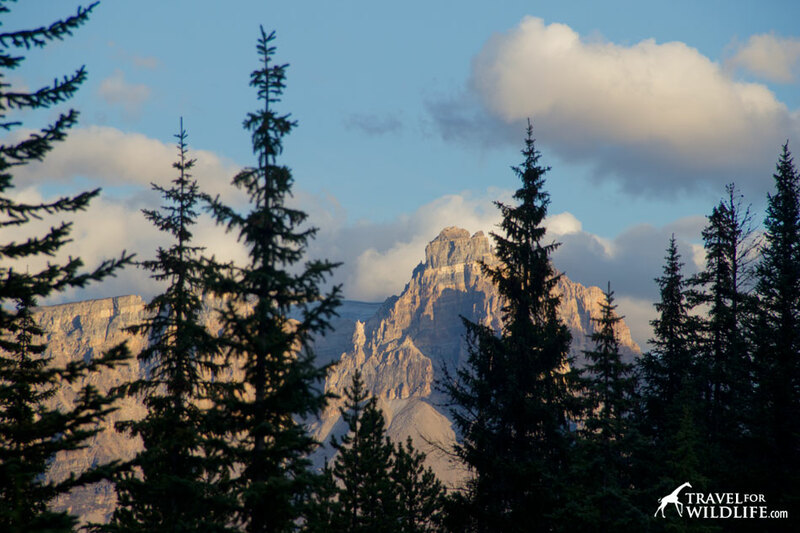 This hike is a must-do for nature lovers and fossil geeks, and definitely one of our favorite things to do at Yoho National Park (if we could have afford it). 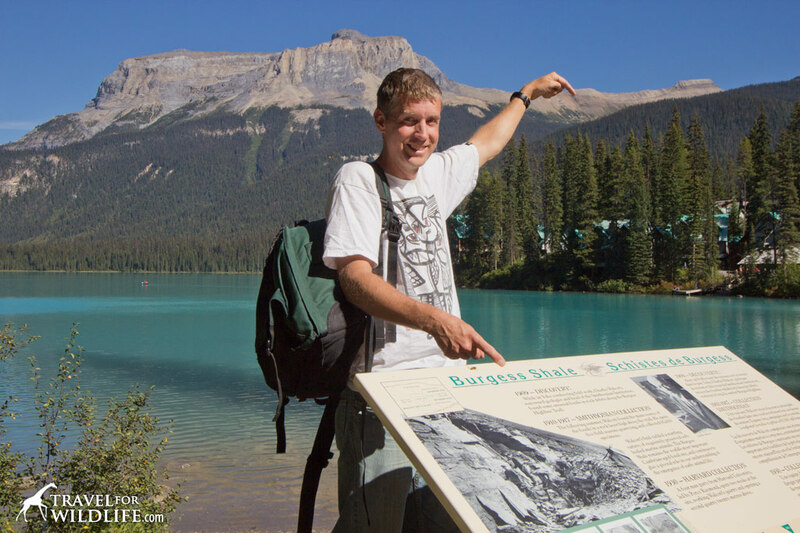 Hike to the Burgess Shale site with a guide (it is illegal to hike up there by yourself, ya know? 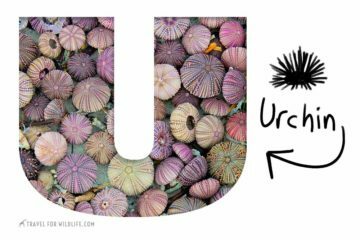 ), learn about the amazing fossils found here, and check them out with your very own eyes! We couldn’t afford the hike ($70 to Walcott Quarry and $55 to Mt Stephen) but this is now on my must-do list. You must reserve the hike, and they don’t go every day of the week, so plan ahead. For more information on the Burgess Shale hikes, call 1-877-737-3783 or visit Parks Canada. Look out for mountain goats during your hike! Emerald Lake… Think Lake Louise but without the tourists. 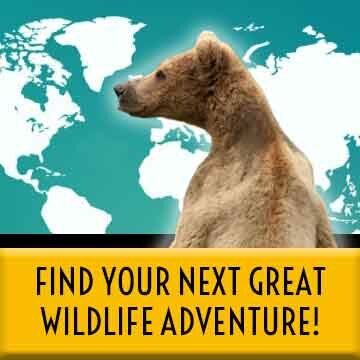 Hike around the lake or 3.4 miles up to Hamilton lake, rent a canoe or search for mountain goats with your binoculars. From here you can also see the Burgess Shale site in the distance. On the way to Emerald Lake, stop at the Natural Bridge. This impressive natural rock formation is the result of the sculpting action of water. The softer rock found below the Bridge’s hard limestone band eroded faster, fissures in the rock appeared and widened until the flow of the river diverted below the outcrop. Fun Fact: Kicking Horse River got his name in 1858 when James Hector, a member of the Palliser expedition, was kicked by his packhorse in this spot. The Yoho NP Visitor Center is located at Field and it is a great resource to discover the trilobites and other fossils of the Burgess Shale. 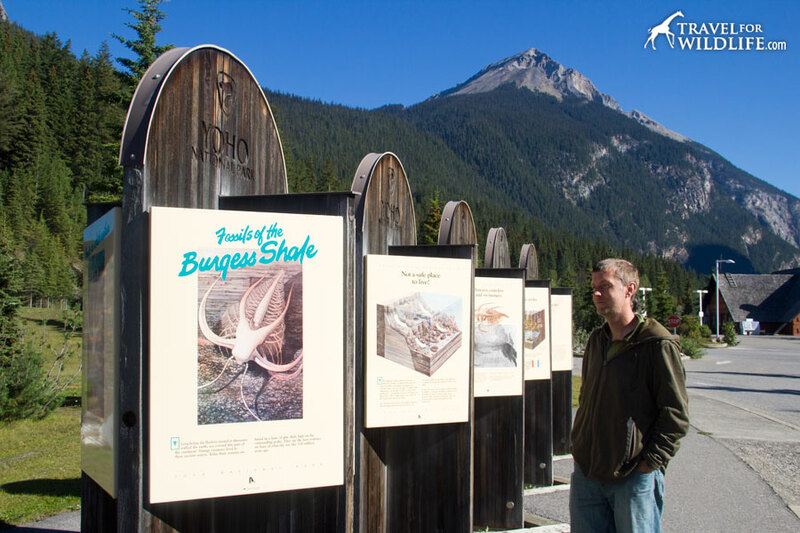 With outside displays, a book store and a small museum, the center will inspire you to hike to the Burgess Shale location. The Visitor Center also has a picnic area by a cute little lake where you can have lunch overlooking the peaks of Mt Stephen. Yoho National Park is located in British Columbia and borders Banff NP to the east and Kootenay NP to the south. 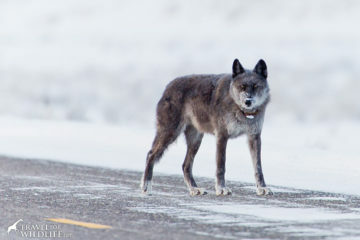 It is only a two and a half hour drive from Calgary. You can’t get lost! 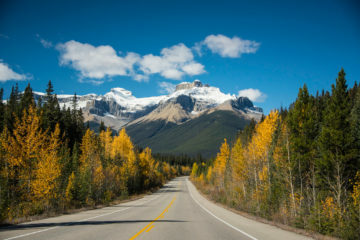 From Calgary take the Trans-Canada Highway 1 all the way to Yoho, 147 miles away. To get to the Takakkaw falls turn right at Yoho Valley, two miles before Field. The falls (and the Takakkaw Falls campground) are at the end of the road. Love the view of the waterfall from the campground. That must have been a soothing sound to fall asleep to. I slept so well! 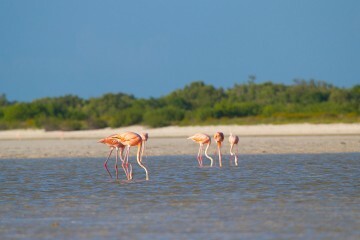 I think this is my favorite campground of our trip, and we saw lots of them during our four month trip! I’d love to go back one day. Wow what a stunning place to camp! 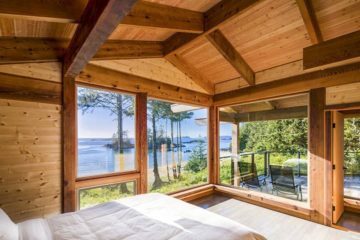 I have really been wanting to visit this part of Canada for a long time now, and this park seems like a must-see! Too bad no wildlife came out on the trail camera. It is stunning! One of my favorites for sure! Hi, I was planning on camping here around July 4, 2014. If we get here before 12 PM, do you think we’ll be able to get a campground? I would love to camp here but afraid that we won’t get a spot. 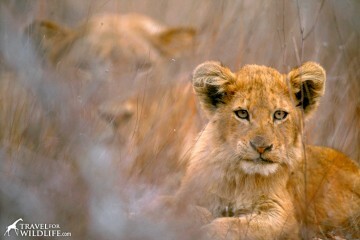 Thank you for sharing your trip and photos – they look amazing! Thanks for stopping by! We visited in September and even though we arrived pretty there were several open sites. I am not sure how busy they are in July, but I guess there’ll be more people then. I would try and get there by 11am to be safe! Have fun!